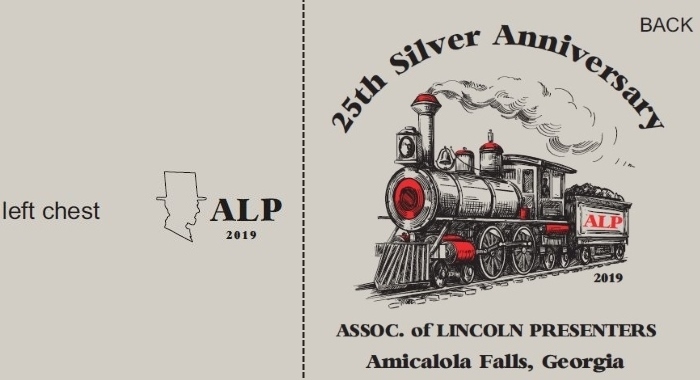 New for the 2019 ALP Conference, we have created official conference shirts. 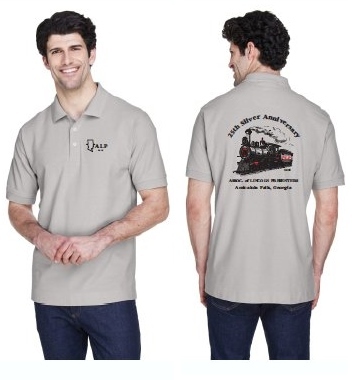 These include both men's and women's t-shirts as well as men's and women's polo shirts. 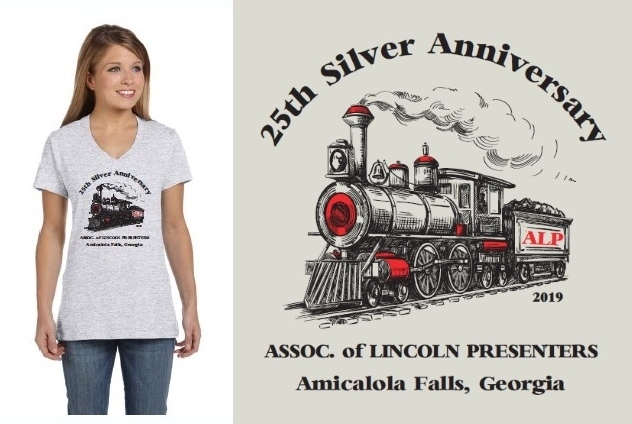 The t-shirts have the official conference artwork on the front and sell for $15.00 each. They are available in both men's and women's sizes S-XXL. The polo shirts have the "ALP 2019 logo" on the left chest as well as the official conference artwork on the back. 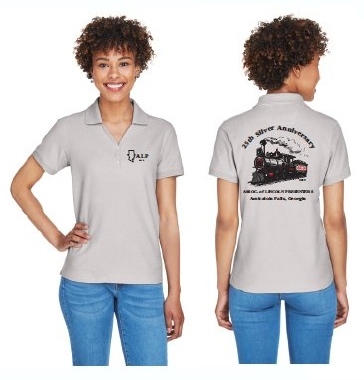 The polo shirts are $25.00 each and are also available in men's and women's sizes S-XXL. Please complete and submit the form below before March 31, 2019 so that we may guarantee that your shirt will be ready for pickup at this years conference. We will notify you immediately if a size or style is unavailable. Please bring your check or cash for the total as shown on the website to the ALP Conference. Checks are to be made out to the "Association of Lincoln Presenters". 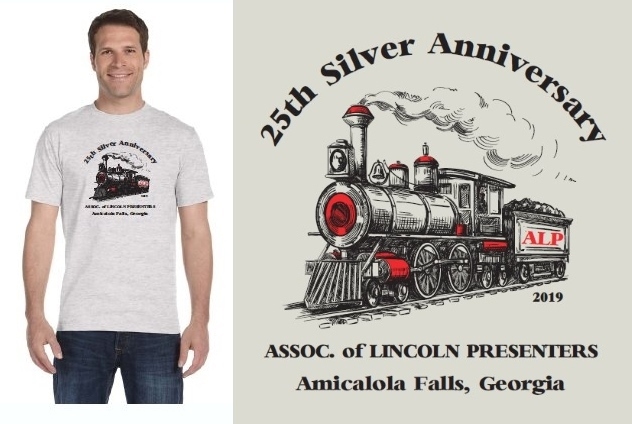 If you are not able to attend this years conference but would like a shirt, please place your order using the online form below and select that you will not be in attendance at the conference. You will need to mail a check made out to the "Association of Lincoln Presenters" to Murray Cox, 3979 S. Bailey Rd., Wabash, IN 46992. Please add $5.00 for shipping of one item, $7.50 for two items, and $10.00 for three items. I will not be in attendance for this years ALP conference but I would like to place a shirt order.